I just spotted these beautiful storage tins on Cath Kidston’s online shop. They are so beautiful! I have already decided that I want them, and where they would go in my room if I had them. I would put them in a row, as pictured, on my shelf above my desk. If you’ve not seen my room, its teal green with a mish mash of polka dots, florals, gingham and white shabby chic furniture. You can see it HERE in a post I did just after decorating! You can see how perfect they would look, and useful too, to store pens and other bits and bobs. If you like them too, they are £16.00 a set, here. Also, I just purchased one of these beauties on Ebay for £17.50! 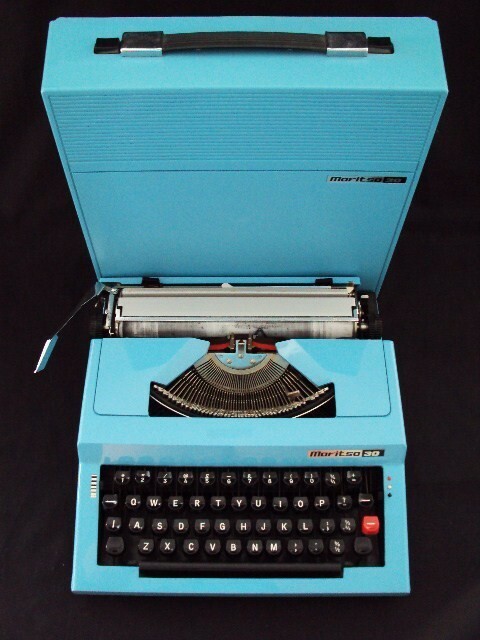 Its a Maritsa 30 vintage typewriter, but the one I have won comes with a black case. It is in fully working condition with no damage. Perfect for sketchbook work to make it stand out from the crowd. I think it will make everything a bit more personal rather than typing stuff out on the computer. I’ve always wanted one and was so happy when I found it just now! Can’t wait for it to arrive. Now I just need to decide where to put it! Moving on, yesterday morning Dan and myself popped into town for lunch and had a wander round the flee market. He spotted a tin of brooches and bought me these two little gems for a pound each. I love the rocking horse one especially. They are both gold but slightly worn which I think makes them look even better! I also found this dress, which was originally ankle length, ticketed at £8.00, but I bartered a little and got it down to a fiver! I took it up to a more flattering length, and wore it out to lunch today for my big sister’s birthday. This set of looks is going on my Lookbook profile later! 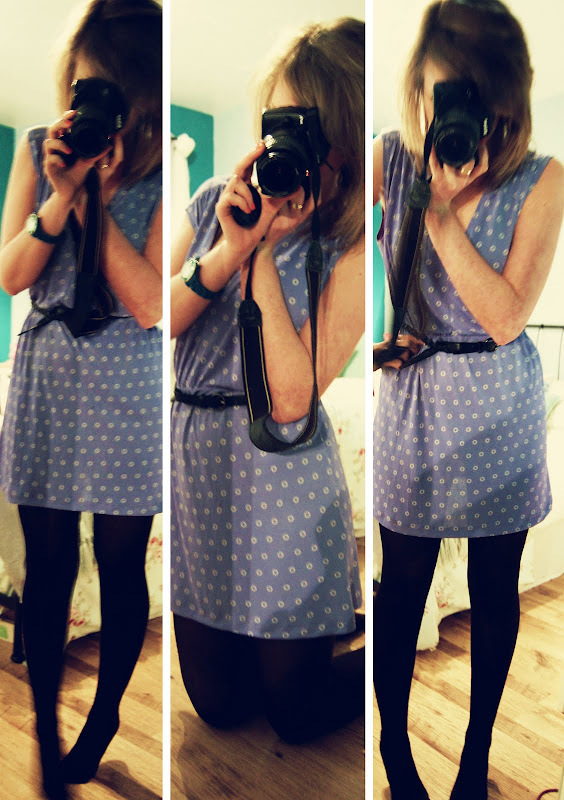 I love the colour of the dress, a blue/lilac, and can’t wait for summer to come so that I can wear it with some cute sandals! That’s all from me tonight. Back tomorrow for Three for Thurs! Also , let me know who you would like this week’s Style Crush post to be on! "TOPSHOP UNIQUE – A/W 2010"
everything is so gorgeous – those boxes are such good value! you should definitley buy them!